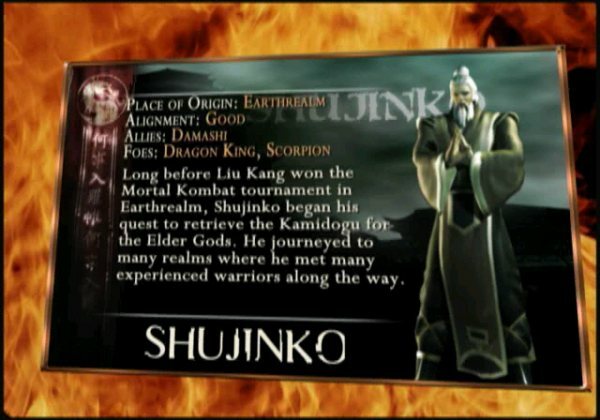 Shujinko made his debut in Mortal Kombat: Deception as the game's main hero. He is an adventurer who, as a boy, dreamed of fighting Shang Tsung. He has roamed the various realms and studied with many renowned teachers. 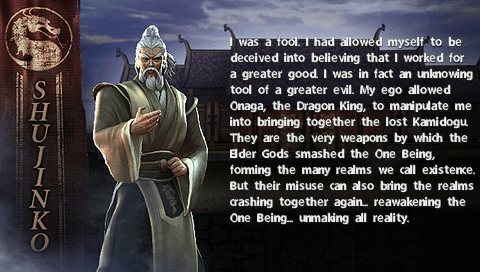 His old age has made him wise, but at a cost: he bears an immense guilt for releasing Onaga into the realms again, and now that he is discarded by the Dragon King, has vowed to make up for this mistake. 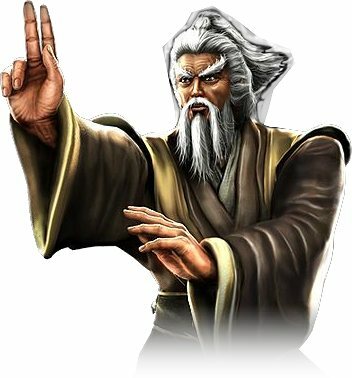 Although he shares some traits with the games' Shaolin monk characters, such as his great receptiveness, deliberation and ability to meditate for weeks, he has always been a traveler and a student at heart. 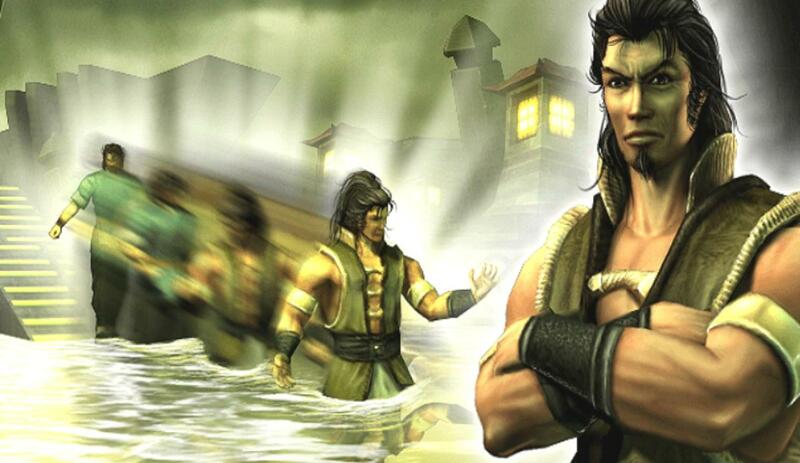 Depicted as a young teenager in Konquest mode of Mortal Kombat: Deception, Shujinko was trained by Master Bo' Rai Cho in the art of Kombat. Soon, however, Shujinko encountered Damashi, who claims to be an emissary of the elder gods, gives Shujinko the power to copy other fighter's abilities and tells Shujinko to embark on a quest. It was from this point on that Shujinko's goal is to find the Kamidogu, or relics that are hidden in each main realms (Earthrealm, Outworld, Netherrealm, Orderrealm, Chaosrealm and Edenia) and place them on an altar in the Nexus of the Elder Gods. In order to be able to do his bidding, Damashi gave Shujinko the ability to absorb fighting styles and special attack patterns of warriors he encountered with great ease. Shujinko's mission took him more than forty years to complete. By this time, he had missed out on most major events taking place in the realms, such as Shao Kahn's invasion of Earth, Shinnok's short-lived insurrection or the formation of the Deadly Alliance, only hearing about them obliquely or being involved very loosely. 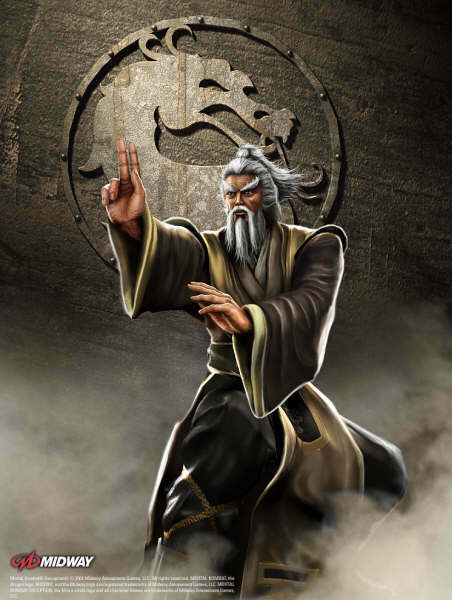 Because of his mission, it is said he also missed out on the first Mortal Kombat tournament, despite winning Shang Tsung's approval to participate after a short fight. When his mission was complete, Damashi revealed himself to be none other than the Dragon King, Onaga, speaking to Shujinko from beyond death. 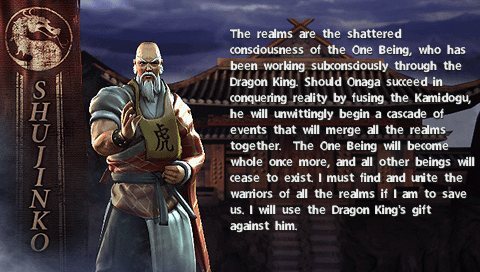 Onaga used to be emperor of Outworld, and secretly driven by shards, echoes and memories of the One Being, whose consciousness shattered into the six realms with the creation of the Elder Gods. The One Being's existence does not allow the existence of something else, precisely because it is just that. The kamidogu, which contain the essential keys and essences of the realms, are powerful tools to merge the realms. The last tool Onaga needed to perfect his strategy was the sacred amulet that was long in possession of Quan Chi. After defeating the Deadly Alliance and Raiden, Onaga also had the amulet. For this, Shujinko assumed full responsibility, and embarked on a desperate quest to destroy Onaga, believing himself the only person capable of doing so. Shujinko was then, for a time, known as the hero of Outworld. However, he still felt some degree of guilt of bringing back the Dragon King in the first place. As such, he didn't feel worthy of their admiration. Some time later, Princess Kitana requested Shujinko to meet her at Shao Kahn's fortress, as her Edeinian forces had apparently flushed out Reiko's elite guard, the last remnants of the old empire. Shujinko however came to the realization that he and Kitana parted ways after Onaga's defeat, as she set out to help the spirit of Liu Kang. Shujinko thought either that she departed for Earthrealm for the quest and she came back sooner than expected-or that the invitation had not come from her at all. Deciding that he would not allow himself to fooled again, he made the decision to uncover a possible plot of an unknown enemy to make himself truly worthy of the admiration Outworld has placed in him. It is revealed that the person who sent the deceptive invitation was Mileena, who fought and defeated Shujinko at the behest of Shao Kahn. 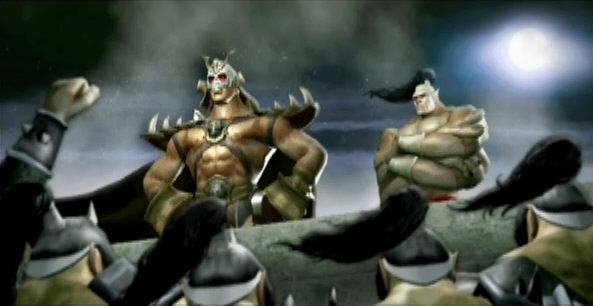 In Mortal Kombat: Armageddon's Konquest mode, Taven discovers Shujinko in the dungeons of Shao Kahn's fortress. 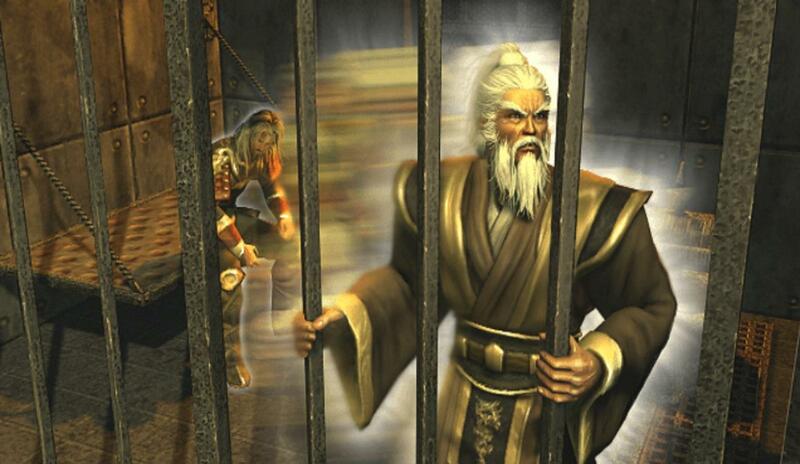 After freeing him, Shujinko claims that he allowed himself to be captured on purpose so to as to get closer to his enemies, as he plans to take on Shao Kahn, Onaga, Shang Tsung, and Quan Chi by himself. He disappears soon after in the pursuit of his mission, leaving Taven to regard him an old fool. 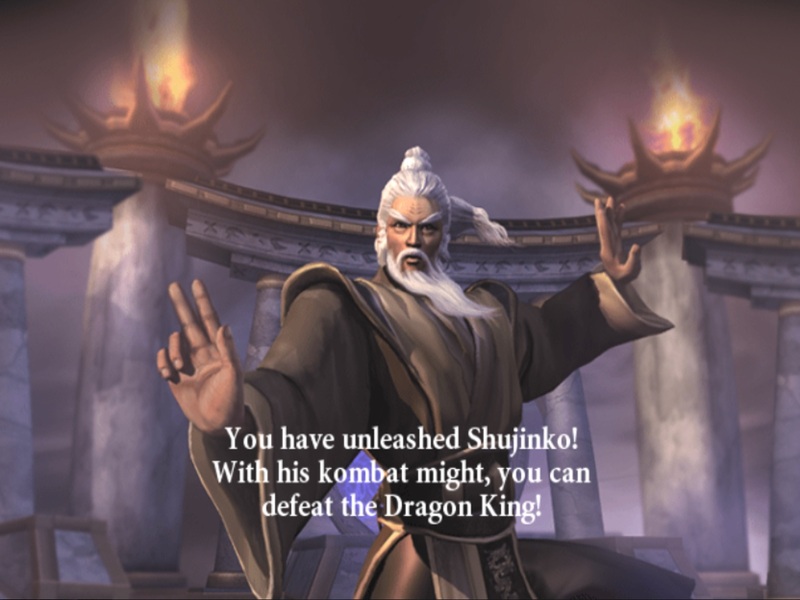 As the character of MK: Deception's Konquest Mode, Shujinko aged from a young boy to an old man. While the concept is kinda cool on paper, Shujinko's growing old may have been due to how boring Konquest Mode (and MK: Deception) really was. lol. Visually, as an "old master" design he's not too bad. He's got a few unique moves and is probably one of the best designs in MK: Deception, but that's obviously not saying much. Finally, his name is also a bit goofy.